The reason Mary Tappouni and the Florida Green Building Coalition (FGBC) fit so well together is because they share a common mission-being a partner to Florida in sustainable construction. "I like that they are Florida-specific, because there are a lot of things in Florida that are unique to us," said Tappouni, owner of Breaking Ground Contracting. First Green Bank, A local bank with a global mission™ is the first bank of its kind to promote positive environmental and social responsibility while operating as a traditional community bank. The bank's staff invites you to visit and explore how they can assist you with your banking needs. 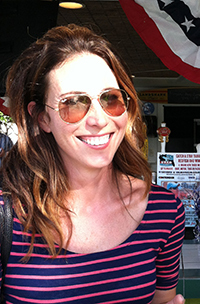 Kristin Triolo is broker/owner of Sarasota Homes International, a full service real estate brokerage firm serving the Florida Gulf Coast, specializing in residential green properties, vacant land, and investment real estate. Kristin is a National Association of Realtors Certified Green Realtor (2010) and a contributing member of the Realtor Association of Sarasota & Manatee (RASM) Green Committee. 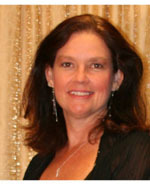 She is past chair of the Sarasota Association of Realtors Green Realtor Alliance Committee (GRAS). In 2017 she was appointed to serve on the Board of Directors for the Florida Green Building Coalition and selected to serve as Vice Chair of the Professional Development Committee for RASM. In addition, she will oversee the RASM Green Committee and its Leadership Academy. She has held leadership roles in Florida Realtors, the Realtor Association of Sarasota & Manatee, the Women's Council of Realtors, and the Certified Residential Specialist (CRS) organization. VBA Design is a certified Woman Owned Small Business formed in 2012 that provides superior architectural and interior design services to the private sector and Public/Governmental clients with high level design quality. We do this with LEED Certified Professionals, knowledgeable construction cost estimations and high client involvement. VBA Design is licensed in four (4) states, Alabama, Florida, Georgia and Louisiana with a host of credentials including FDOT DBE Certified, WOSB Certification in the state of Florida, LEED AP BD+C and over 20+ years' experience. Recent projects include hospital renovations, K-12 campus planning and facility design, warehouse and manufacturing, worship assemblies, homeland security and restaurants. We believe that design is the poetry of the soul that should engage, nurture and delight those it serves. By truly listening to our clients and engaging them throughout the design process, VBA Design is privileged to be designing a better experience for our clients. As the largest housing authority in Pinellas County, PCHA currently provides housing and rental assistance to approximately 8,500 individuals through agency-owned affordable housing, public housing, assisted living and the administration of the Housing Choice Voucher program. Its ability to cultivate strategic partnerships and develop innovative programs allows it to bring together services and resources to assist families in working toward self-sufficiency. Recently is was chosen as a recipient of the National Association of Housing and Redevelopment Officials (NAHRO) Awards of Merit in Project Design for Landings at Cross Bayou. Landings at Cross Bayou is the result of public-private partnerships providing mixed-financing for 184 apartment homes. Built in 1970, every unit was taken back to the exterior concrete walls and remodeled from the inside out. Each unit has Energy Star appliances, ceramic tile floors, cherry wood cabinets, and central air conditioning. The project has completely new infrastructure and common area buildings. On-site is a community center with a warming kitchen, lounge, library, business center, and a fitness center. The "new" community also has a youth center that includes a state of the art computer lab, a large gathering room, and a playground with a full-size basketball court. The project was co-developed by the housing authority and Norstar Development USA, L.P.
To Fort Lauderdale-based Stellar Homes Group, solar power is not a luxury amenity, instead the homebuilder will be the first in South Florida to include a Photo Voltaic (PV) solar panel system, with a 30 year warranty, as a standard feature in all its new homes. Each solar panel system has a retail value of $9,160 to $16,128 per home (depending on community), and will be offered standard to buyers without raising prices to offset costs. “Our 5Kw PV solar panel package, combined with Stellar Homes Group’s additional energy conservation features, is expected to result in an estimated energy cost savings of approximately $81,000 over 20 years. Our homebuyers can choose a solar package to suit their needs and can take advantage of the 30 percent federal tax credit,” explained Stellar Homes Group Vice President Tony Valle. 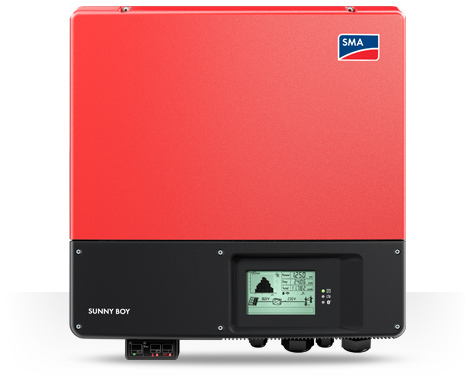 The inverter is as equally important as the panels, once you harness the suns power its up to the inverter to process and distribute it to your home or back to the utility company. Solar-Ray, headquartered in Orlando, will install the PV systems for Stellar Homes Group. Solar-Ray is one of only six North American Board of Certified Energy Practitioners accredited companies in the country and the only one in Florida. “Solar panels require very little maintenance since there aren’t many moving parts. The systems are efficient to install while the homes are being built, and will add greatly to the current and resale value of the homes,” stated Solar-Ray, Inc. President Michael Brown. Brown predicts Stellar Home Buyers can save a minimum of $350 to $400 per month on utility bills based on the PV systems installed along with the other energy conservation features installed as standard on all homes. All solar PV systems installed offer free monitoring and control options to provide users multiple communication and control tools from anywhere on the planet via an Internet connection. Homes will be certified by the Florida Green Building Coalition. Stellar Homes Group will include in all new homes an array of green features as standard beyond the solar panels. Features include: Three times the required insulation on the exterior block walls; passive solar day lighting through positioning of windows and doors to maximize natural light; hybrid water heaters that deliver hot water 70 percent more efficiently; LED Lighting; low-flow shower heads, toilet and sink faucets; Zero VOC paints, sealants and adhesives; and flooring that meets GREENGUARD Gold Certified criteria. In addition the homes will be electric car-ready, have organic vegetable gardens and will feature upgraded, drought-resistant landscaping. “Creating beautiful homes in an environmentally sustainable way can be done well by incorporating green practices and knowledge from the start of the building process. It’s our mission to present a healthier home and lifestyle for today’s families, and we have certainly raised the bar,” added Stellar Homes Group Managing Partner Larry Baum. Founded in 2009, South-Florida-based developer Stellar Homes Group has delivered more than 2,000 homes and is committed to building residences that offer stellar quality, contemporary designs and sustainability. Stellar Homes Group specializes in the acquisition, development and value enhancement of residential and mixed-use properties. The company has developed in some of the most desirable coastal, urban and suburban locations in South Florida and is proudly dedicated to maintaining Florida Green standards and following green building practices to minimize the impact to the environment while reducing energy and water costs for residents. For more information about Stellar Homes Group visit www.stellarhomesgroup.com. 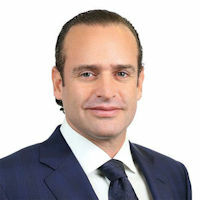 Mario Caprini, CEO of Capital Group in Boca Raton, is a seasoned real estate investor and builder-developer who has developed over 1,000 residential units, 5 million square feet of industrial parks, and managed hundreds of thousands of square feet of office, retail, and medical buildings. Some of the notable achievements in his career range from Entrepreneur of the year in Montreal, best residential project in Canada, to best office development in North East Ohio. Eco Building Armor is a division of Capital Group that provides turnkey services relating to Structural Insulated Panels (SIPs) technology using a next generation of SIPs with Magnesium Oxide Board (MGO). 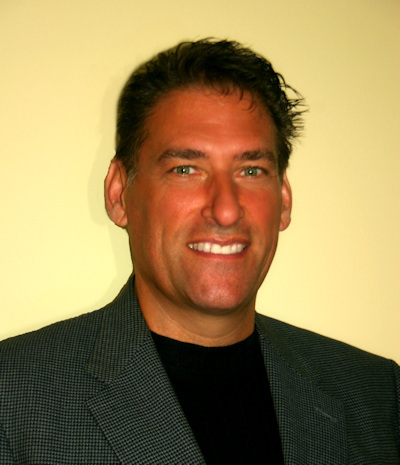 Marshall Gobuty is president and co-developer of Mirabella at Village Green in Bradenton. Mirabella, situated on 42 acres that formerly served as the Village Green golf course, is an innovatively designed, eco-conscious community nestled in the heart of west Bradenton and minutes from Gulf beaches. With its ideal location, beautiful climate, and laid-back atmosphere, Mirabella is the perfect setting for a gated, "active lifestyle" community designed just for residents 55 and over. Mirabella features resort-style villas that are LEED, ENERGY STAR and HERS certified. In fact, these are the first LEED-certified villas in Florida. Constructed by award-winning builder Synergy Building Corp., they have earned a super-efficient 62 to 64 on the RESNET HERS Index. Mirabella's energy-efficiency certifications appeal to savvy homeowners seeking energy cost-saving, healthier indoor air and a smaller carbon footprint. Divco Custom Homes is one of Southwest Florida's oldest, most experienced homebuilders committed to creating superior homes at a competitive and reasonable price. Divco owner, Stephen Kauffman, and a core group of senior management executives oversee the building, financing and design team. This team of professionals, from administration to construction and financing, has decades of experience and a common corporate-wide dedication to customer service. Partnerships with the region's top architects, residential designers, engineers, and subcontractors who meet our rigid protocols for quality, integrity and expertise ensure clients receive a superior quality home. At Divco Custom Homes, we do our part to take care of the environment, realizing that using green building techniques will help ensure a wonderful future for our children and grandchildren. From windows and doors to roof and air-conditioning, Divco has energy efficiency covered. The foam insulation Divco uses in its homes helps improve air quality, both outside and inside the home. The use of mildew resistant drywall on all exterior walls mitigates mold and mildew formation within the home. Divco uses fiberglass insulation in most interiors walls, which provides for sound reduction and air temperature control. As part of our commitment to supporting sustainable development in Florida and elsewhere, Fine Home Inspections, Inc. is honored to be a part of the Florida Green Building Coalition. Every opportunity we get, we share new information with home owners regarding sustainable building or sustainable retrofitting, providing a much needed information hub for home related resources. Our aim is to raise client awareness and recommend the most energy efficient and environmentally friendly products. We look forward to working with area builders in the FGBC certification process. Lisa Pearcy with All Elements Mechanical is the type of member that every volunteer organization hopes for. She is dedicated to "the mission," personally believes strongly in the value of the organization's efforts, and actively participates in recruitment and on committees. To date, she has recruited five high-rise projects totaling 678,000 square feet into the FGBC certification programs, and she chairs the FGBC Green High-Rise Committee. LifeStyle Homes, a Brevard County home builder, has successfully proven that its solar-powered homes can produce enough energy to not only run the household, but an electric vehicle as well. Its recently purchased Tesla is being rotated among LifeStyle's solar-powered model homes on weekends, allowing potential homebuyers to see and understand first-hand how homeowners can live more energy-independent lifestyles. 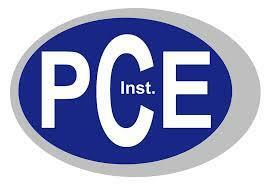 PCE Instruments is a leading provider for measurement products and solutions. Since its inception in 1999 in Germany, the company has steadily grown its product and service offerings supplying various industries like green construction, manufacturing, and universities among others with high quality instruments and individualized service. Murray Homes is an industry leader in building luxury waterfront custom homes that exceed the expectations of their clients. Each Murray Home is built with a meticulous focus on detail. Using technology at its most efficient, materials that enhance value, and offering superior architecture and finishing is a hallmark of its work. Its commitment to the highest quality standards for building and customer service, combined with unparalleled savvy for this area's real estate market, is backed by a proven track record. Professionals within the Sarasota real estate and building industry have come to rely on Murray Homes as the "go to" team for getting the most out of a luxury home purchase for clients. Gables Residential is an award-winning, vertically integrated real estate company and privately held REIT specializing in the development, construction, ownership, acquisition, financing, and management of multifamily and mixed-use communities. ENERGY STAR Partner of the Year for its outstanding contribution to reducing greenhouse gas emissions through its work as a Home Energy Rater. Eco Solutions Marketing, Inc. was born from a desire to help small business owners grow their business. I invite you to browse through our website and see if we can be of service to your company. I started ESM back in 2011 when I decided that I wanted to explore the more creative side of my brain and to put all of the years of experience and skills I had learned to benefit other companies. Ok, and I needed a job! After speaking to several of my colleagues in the business world, one of them asked me "What is your passion?" He said that if you find your passion, the rest of it will take care of itself and he was right. I love being able to go in and help small businesses to ramp up their marketing efforts and grow their business. I love meeting new people, finding out what their needs are and helping them to achieve their goal without having to hire permanent staff. Let's face it - small businesses these days can't afford to hire a major PR firm. My goal is to help you set up or re-design your marketing strategies and then give you the tools to maintain it yourself. We can help you grow your company in the following areas: Website Design or Re-design, PowerPoint Presentations, Continuing Education Program Development, Brochures & other Marketing Materials, Social Media Set-up and Monitoring as well as Full Charge Accounting Services. Check out our website for some of our customers. 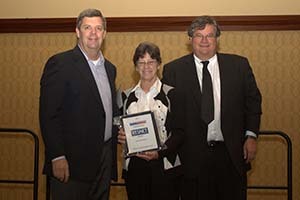 A new feature of the 2013 RESNET Building Performance Conference was the Insulate America/RESNET Best Idea Contest. The rating industry was solicited to submit their program innovations. Three winners were selected from all the submissions. Jane Conn, principal of Tallahassee-based ES Green and Company was recognized for a “Best Idea Award” in marketing for its “Discovery House” learning center. Read the story of how ES Green & Company went from a fledgling start-up to the leading provider of certification services in north Florida. . .
Capitol Green Building Group was formed in early 2009, later changing its name to ES Green and Company in Sept 2010. We quickly built a book of business, but it was strongly dependent on the Florida Housing Finance Corporation’s Home Ownership Pool (HOP) funding program that required green or ENERGY STAR certification. Our business plan called for a more diverse market base. We had about a dozen non-HOP builders trying out the climate-specific Florida Green Home Certification Standard developed by the Florida Green Building Coalition (FGBC), and two or three trying ENERGY STAR. In January of 2010 the Tallahassee Builders Association (TBA) was planning its annual Parade of Homes. FGBC was sponsoring a highest scoring green award in two size categories. This helped build interest from the builders entering the Parade. Of the 33 homes entered in the 2010 Parade, 21 sought certification by the FGBC, ENERGY STAR or both. The green certification verifications were performed by three companies. Our company verified all but five of the green entries. We knew this was an opportunity to expand our customer base, so we searched for a way to use it to educate builders, REALTORS, appraisers, lenders, and the public regarding the beneficial differences between a green certified home and a non-certified home. Jacksons Gap is a small subdivision of just 25 lots. In 2009 it had been dormant for three or four years, with only one home completed. In late 2009, it was reopened and there was a rush of building activity. Great location, with a perfect size restriction, which fostered a very salable price point. Two homes in Jacksons Gap were entered in the Tallahassee Builders Association Parade of Homes. Both were our clients, and both homes were FGBC and ENERGY STAR certified. One builder, Premier Construction, had several new starts in addition to their parade home. We approached one of the Premier partners – the youngest – who was also our contact. Our plan was to hold an “open house” in two homes: one that was insulated, but not drywalled, one that was almost complete. We would partner with Premier Construction and with Tallahassee Community College (TCC). In the insulated home, we would post signs on or near components that were required for ENERGY STAR or that earned points for FGBC green certification. We also would hold an “open house” in the home that was almost complete, and in it set up the blower door and duct blaster. We asked a second grade class to draw pictures of what they had learned in a program on energy we presented to them in the late Fall of 2009. We displayed these in one of the homes. In both homes we proposed to have activities for children. We decided on a detective card, duct mask station, and blower door driver. Our contact at Premier was excited and wanted this to move forward. His two older partners were skeptical, but finally agreed – with restrictions. The Parade was May 8-9 and May 15-16. We would be allowed to use the two houses only for the first weekend. That May turned out to be an extremely hot month, so at the end of the first weekend I was very glad we would not have to repeat those two long, hot, busy days! But that was not to be . . .
Geographically, this idea can and has worked in many different areas. We have repeated it twice since the first one in 2010, and find it gets the most traffic if the insulated home is very close to a finished home by the same builder. The public will go to the finished home and then be directed a few doors down to the insulated home. Holding it as a stand-alone in an isolated situation does not generate enough activity to justify the effort. We saw results immediately. See the quantification section below. The dollar costs were very low. Less than $100 for the detective cards, the signs and the duct mask. We had $200 in employee expense and $100 or so for food and drinks. We also had a $50 gift card for the detective cards. Our time costs were intense, eight hours on each Saturday and six hours on each Sunday (Total 28 hours). Location would normally be the greatest challenge. In this case the location created the idea, so it was not. 1. I had been working with several appraisers to try to educate them on how to value green and energy features that exceeded code. And wasn't having much luck. Our first visitor on May 8 was a highly respected appraiser. He wanted to understand the valuation, but just couldn't get it. I had talked, shown pictures, sent articles, with no success. He walked around the insulated house, read the signs, asked a few questions, thought a minute and then gave me a great big smile and said "I get it!" Because of him, we had six other appraisers come through the house and "get it." This made a huge difference to the builders and validated green certification by an independent third party. 2. Those two older, skeptical partners at Premier? They asked us to host the open houses during the second weekend of the Parade, and to participate in a video for the company highlighting the green and energy features of these homes. They also decided all of their homes would be both FGBC and ENERGY STAR certified (at that point about 60 per year). 3. Those builders who were toying with an occasional certified green home? They walked through as well. They listened to us explain to the public what mattered and why, and the importance of an independent, third-party verification. Within six months, we picked up six new builders and approximately 36 home certifications. This marketing effort helped us achieve diversification within the marketplace, insulating us from relying too much on one income stream. By the end of 2011, according to that same respected appraiser who visited the open house, approximately 72 percent of all single-family detached new construction in our area was green certified or Energy Star qualified. Our company was certifying 95 percent of those homes. Responding to the economy in 2012, the housing industry in the area saw a drop to a little less than 60 percent of single family, detached new construction being certified, but E.S. Green & Company still holds 95 percent of that market. The rigorous requirements of Energy Star version 3 moved several of our builders away from Energy Star to FGBC green certification with a HERS index.